After attending 10 TechEd conferences, I had a major revelation. Let me take you through some of the events that allowed me to reach my new, enlightened state. My journey this year started with the SAP Mentor reception, included SAP Screen Personas lectures, hands-on workshops, customer sessions, and our annual customer dinner, and was punctuated by many hallway and show floor conversations with customers, partners, and colleagues from different areas of SAP and the ASUG organization. The first night of TechEd, I had the opportunity to attend the SAP Mentor reception. Thank you Katarina for the invitation. This was a fun way to connect with people with deep SAP experience and diverse backgrounds. I had some great conversations about technology trends, speculated where various markets are heading, and discussed the chain of events that led to the demise of the Concorde program. As usual, we had several SAP Screen Personas sessions from the product team. We had a lecture session in which we talked about how SAP Screen Personas fits into the SAP Fiori user experience strategy. The attendees seemed very interested in the topic and asked lots of great questions. Using SAP Screen Personas to render flavors on mobile devices was the hottest topic. One customer commented that this was a game changer for her organization. Our hands-on sessions were completely full. Fortunately, most of the people on the waiting list were able to enter the session and work on their own computers in the back row. This year’s hands-on scenario followed a completely new approach. We started with a base flavor that included a few sample scripts and allow the users to copy the flavor and build an adaptive design to run on the desktop and their mobile device. This gave people a chance to exercise some of the new functionality we have introduced in the past year such as scripts in templates, adaptive designs, and viewports. If you want to learn more about building flavors for mobile devices, please register for our openSAP course. First, I want to express my sincere thanks to the customers and partners that shared their SAP Screen Personas success stories at Tech Ed. The first customer presentation was on Wednesday morning. 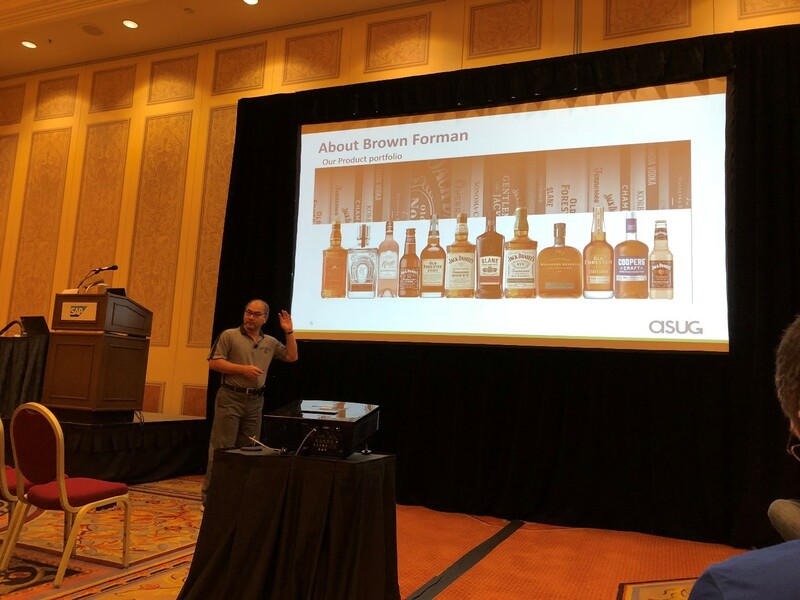 Damean Chen from Brown-Forman talked about how to build mobile applications using SAP Screen Personas. Our mobile rendering capabilities were exactly what they needed to start with their sales order simplification use case. 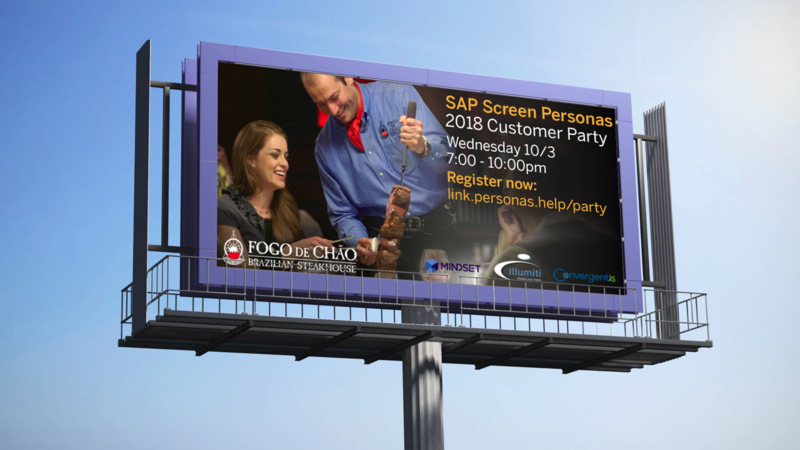 Although they just started their project this year, Damean has been involved with SAP Screen Personas since the beginning, providing some early feature ideas that are still in the product today. On Thursday morning, SAP Mentor and Plaut IT consultant, Simon Kemp, talked about “SAP Screen Personas Three Ways”. He showed flavors that he built in the Web GUI, then rendered in SAP GUI for Windows, and finally in Slipstream Engine on the desktop and on mobile devices. Simon also was an assistant in the SAP Screen Personas hands-on sessions. Thank you again for your help. Another customer session on Thursday was Ingrid Schwarz from Penguin Random House. She showed how she simplified a custom contract management screen, which the company uses to manage contracts between the author and the publisher. She showed how she used the new viewports feature, introduced in service pack 07, to break this complex screen into a series of fast-loading, intuitive steps for the users. Ingrid helped us with the specification for this feature which we built largely in response to their need to improve performance on this large complex screen. We did not do usability testing in Las Vegas, but we will at Tech Ed Barcelona. If you want to help us improve the latest version of SAP Screen Personas, please read Sylvia Barnard‘s blog for more information and to see which slots are open. 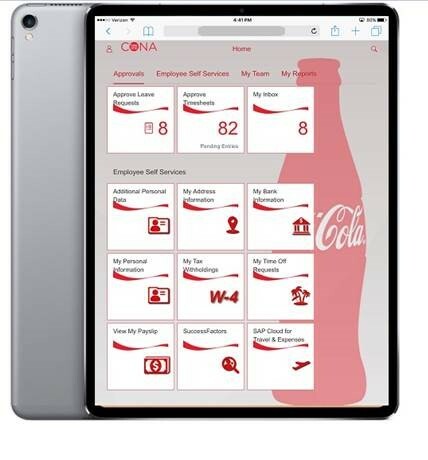 In another noteworthy customer session, Sri Jitta from Coke One North America (CONA) showed how they use SAP Fiori and SAPUI5 to create a great user experience for its North American Coca-Cola bottlers. I think you will agree that their custom Fiori launchpad looks amazing. 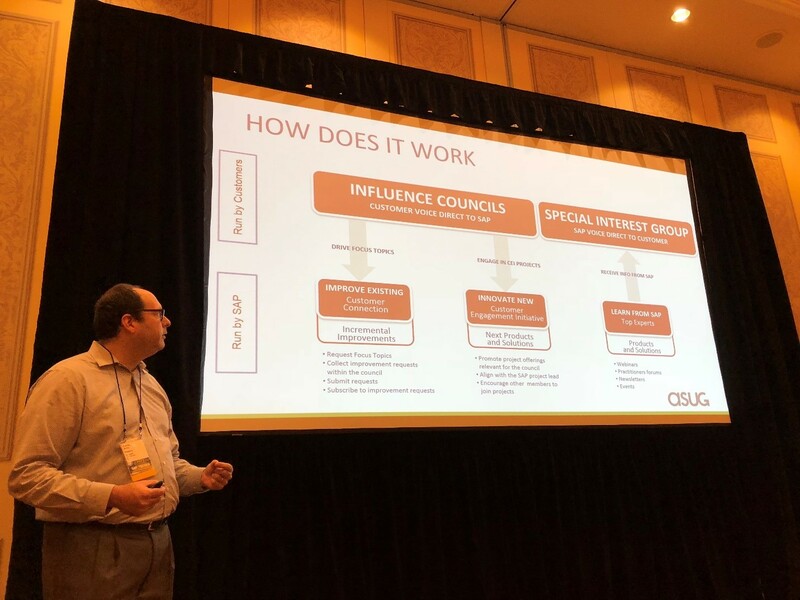 The ASUG Influence Council held a meetup to gather people interested in steering SAP’s product direction across the UX portfolio. There was some good discussion around the many ways to influence SAP, for both released and unreleased products. 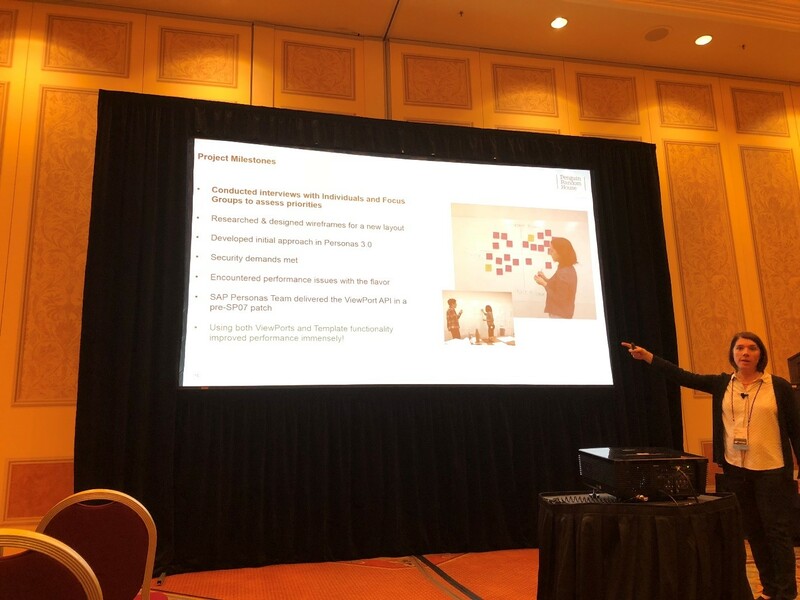 The chairs of the group, David Arfa and Damean Chen guided the conversation between the customers and several SAP product managers who attended. TechEd is a great opportunity to learn, both in the formal sessions and casual chats. Our pod on the show floor was near the SAP Community Hub and SAP Mentor lounge, so it was nice to continue some of the conversations with the people I met on Monday night, in a relaxed atmosphere. 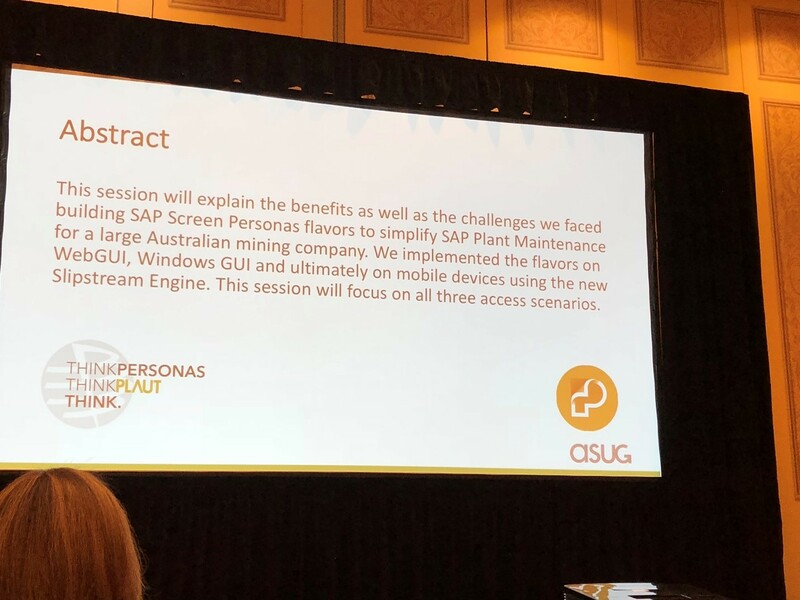 As we are planning to move SAP Screen Personas to SAP Cloud Platform next year, there were some experts in the area who had good ideas on both the technology and commercialization fronts. I also spent some time with my colleagues from the SAP Cloud Platform and Mobile Services teams. They have such a rich portfolio of tools, from simply rendering content from an ERP screen to building amazing new mobile apps that leverage native device capabilities. I’m excited to work with them to bring the new SAP Screen Personas UI5 rendering to users that want to run classic transactions on mobile devices. I also had the chance to get to know some of my colleagues in the SAP Design organization much better. We had meals together and casual chats on the show floor. And, of course, some fierce games of foosball. There are so many exciting developments happening within SAP Design especially around a natural language interface in our SAP CoPilot product. During lunch I met the consultant from one of our large system integration partners who is working on a SAP CoPilot extension that involves integrating weather data. This will be an exciting area to watch in the months and years ahead. At our fourth annual customer appreciation dinner, it was nice to spend time with so many of the customers that I’ve gotten to know over the phone and through our monthly SAP Screen Personas practitioner forum. Many customers were willing to share their experiences with their table mates and even record some short videos about what they are doing, We will share these as soon as the production team finishes editing them. Please see the blog by my colleague Conrad Bernal to learn more about what happened at the customer appreciation event. Thank you again to Brad (Convergent IS), Gavin (Mindset) and Lorraine (Illumiti) for sponsoring this event and giving everyone such a great evening. OK, it took me 10 years to figure this out, but I now realize that TechEd is more than a great technology conference. It’s really a people conference. Without all the interactions I listed above, TechEd would have been a series of lectures. Instead, it was a chance to forge lasting memories by connecting with a community of customers, partners and colleagues, based on shared interests. Thank you to everyone that took the time to share their stories with me and help me understand what TechEd is really about. With sincere appreciation from the SAP Screen Personas product team, Peter Spielvogel. Nice recap. And I totally completely agree. YES! The best part of Teched is meeting the people. Such a rich, diverse group of people. And talk – not JUST tech stuff – but connect and just learn about someone else. Thanks Peter for the wonderful summary of Las Vegas TechEd 2018. Wishing all the very best for the Barcelona one. Thanks for sharing + the insight!